World Wildlife Heritage is miraculous. However, human caused Climate Change is a brutal attack on the biodiverse wildlife on Earth. In a recent analysis ‘Published in the journal Science‘ data were gathered on geographic ranges and current climate conditions of 31,000 insect species, 8,000 birds, 1,700 mammals, 1,800 reptiles, 1,000 amphibians and 71,000 plants. Then, it was calculated how the ranges change when global warming means some regions can no longer support particular species. 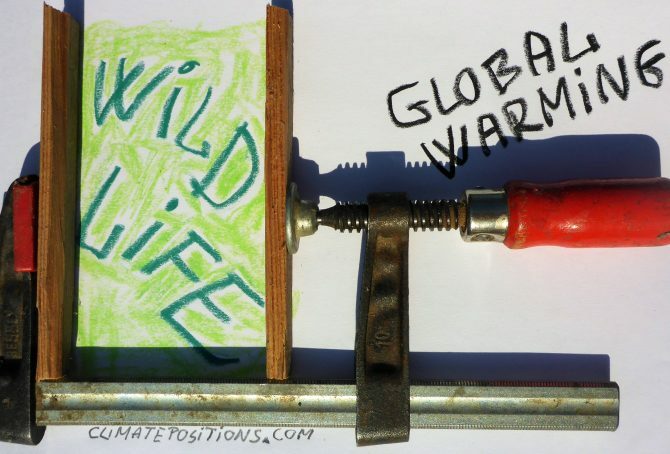 The analysis only took global warming as such into consideration, not the impact of lost interactions between species or the impacts of more extreme weather events; nor the interaction with wildlife degradation for other reasons.